Why is Chad on Trump's new travel ban list? Trump Unveils a New Travel Ban That Includes North Korea, Venezuela, and Chad. Why Chad? 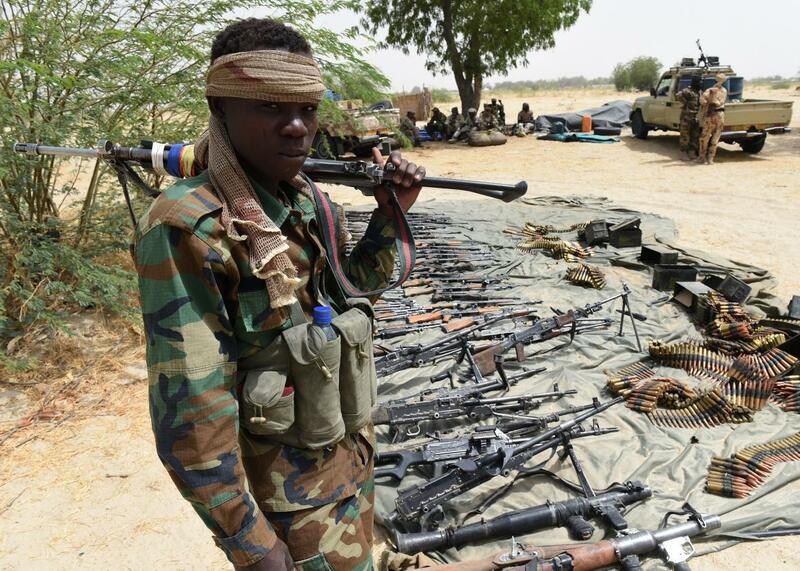 A Chadian soldier stand guard next to captured Boko Haram arms on April 3, 2015 in Malam Fatori, in northeastern Nigeria, which was retaken from Islamist Boko Haram militants by troops from neighbouring Chad and Niger. The Trump administration unveiled a new travel ban on Sunday, just as the previous one was set to expire. There are several changes in this version. The old ban demanded a 90-day suspension, but the new restrictions are indefinite.. And while the old ban included Sudan, a country that has been removed in this version, the new ban adds North Korea, Venezuela, and Chad. So why the change in countries? The travel ban Trump announced shortly after taking office included seven countries: Iraq, Syria, Iran, Sudan, Libya, Somalia, and Yemen. At the urging of members of Trump’s national security team, Iraq—a key ally in the fight against ISIS—was later removed under a deal that made it easier for the U.S. to deport Iraqi refugees living in the United States. (Iraqis are still subject to heightened scrutiny under the new order.) The original list was based on the existing State Department list of State Sponsors of Terrorism, as well as countries already subjected to visa restrictions by the Obama administration. But the case that citizens of these countries posed a particular threat has always been dubious, and it was hard to avoid the conclusion that Trump simply reached for the nearest available list of problematic Muslim places when it turned out the “total and complete shutdown of Muslims entering the United States” he had promised during his campaign was unworkable. The new order is supposedly “much more targeted,” and based on a review of how well governments cooperate with U.S. vetting and counterterrorism efforts. But there’s still reason to be skeptical. The New York Times suggests that the addition of non-Muslim majority countries Venezuela and North Korea could be intended to “address the legal attacks on earlier travel restrictions as discrimination based on religion.” If so, it’s not a very effective counterargument. While North Korea was listed as a State Sponsor of terrorism until 2008, the text of the order does not suggest that citizens of either country pose a terror risk, just that their governments do not cooperate with the United States on various security initiatives. The Venezuela ban only applies to certain government officials, not ordinary citizens; it should probably be viewed as an extension of the sanctions applied to Venezuelan political figures after the controversial election of a new constitutional assembly last month. The U.S. has also, obviously, been ratcheting up pressure on North Korea, though given that the U.S. doesn’t have diplomatic relations with Pyongyang, and that few North Koreans (other than diplomats who are exempted under the new order) are permitted to travel outside the country, the ban is unlikely to apply to very many people. Only 14 North Koreans have obtained legal resident status in the U.S. this fiscal year. Still, those two countries at least have governments that have been publicly at odds with the U.S. in recent days. The indefinite ban on citizens of Chad (which is roughly 52 percent Muslim) is a more of a headscratcher. Yes, jihadi groups including Boko Haram, and affiliates of ISIS and al-Qaida operate in the central African country, but groups like these also control territory in countries such as Nigeria, Egypt, Afghanistan, and a number of other countries not on the list. In fact, the most recent State Department Country Reports on Terrorism was mostly positive about Chad’s counterterrorism efforts. The country has hosted U.S.-organized military exercises and has received significant U.S. military aid. Even Trump’s order describes Chad as an “important and valuable counterterrorism partner,” though it notes that it “does not adequately share public-safety and terrorism-related information and fails to satisfy at least one key risk criterion.” It’s hard to imagine that it’s the only country that could be described that way. We may get some more clarity on the real reason for Chad’s inclusion in the coming days. Given the haphazard reasoning and double standards employed in this process so far, there’s little reason to give the administration the benefit of the doubt.